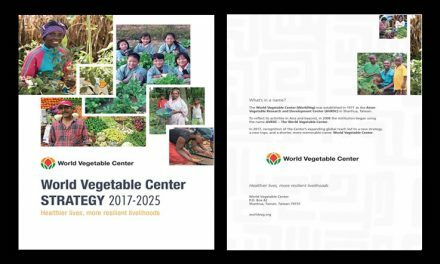 Foreword: Agriculture globally faces many challenges. The foremost among them are to improve farm productivity and economic returns to reduce hunger and alleviate poverty. This has to be done in a rapidly changing landscape of climate change, increasing water and arable land scarcity, threat of rapidly spreading plant and animal diseases and pests across vast regions, loss of biodiversity and volatile, global trade in agricultural commodities with significant inequities for producers. The complex challenge of ushering agricultural innovation can be considered at a very basic level as the need to improve information content and information chains of market supply chains. 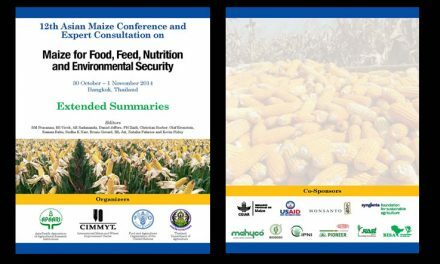 A core pathway to usher agricultural innovation globally is to improve availability, accessibility, applicability and ensure the relevance and usefulness of information for the intended users and enable agricultural communities to appropriate information and, through effective learning, use it as new knowledge, skills and technologies. This pathway is increasingly being recognized as crucial and central for agricultural innovation to occur and spread rapidly. 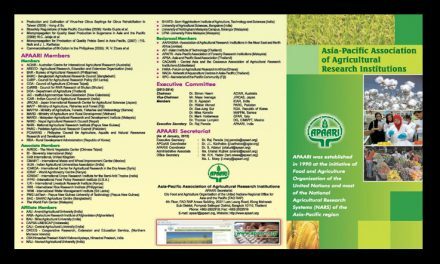 It is this recognition that is leading to the consideration of “openness” in agricultural information and knowledge for all. 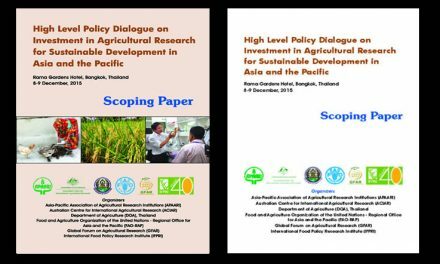 In many economically developing and even in developed countries, a large proportion of agricultural research is done by and through public funds or by public collective and/or participatory action. The outputs of this research, especially data and information, should therefore technically be “public goods” in the sense that they should not be excluded from the public which has funded the research. Thus, “Openness” of agricultural information and knowledge in the context of the emerging paradigm of agricultural innovation should mean that a large part of relevant and useful information generated by and through the public sector investment should be available and also accessible as a public good with equity to all its users. Ushering openness in agricultural information and knowledge for all is a complex challenge to those working towards bringing innovation in farming and agriculture. The main obstacles remain with the Institutions, especially public sector and of Governmental, who need to change. The full use of the new technological advances will definitely need change in existing Institutions as also establishment of new Institutions besides addressing technologies issues and community participation in the ICT initiatives. 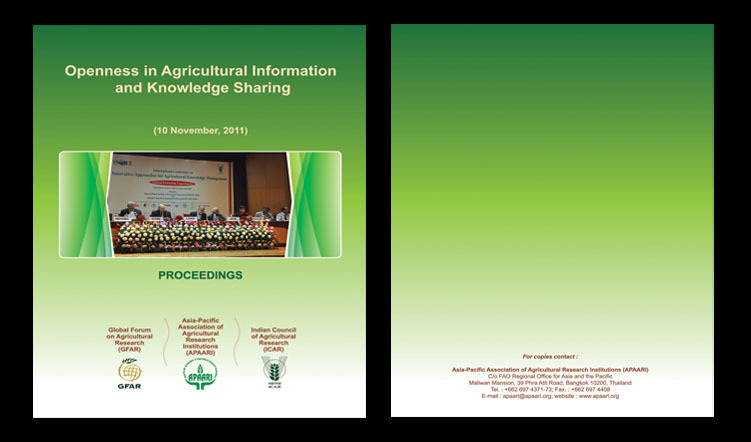 To promote “openness” in agricultural information and knowledge management, APAARI organized a special session on “Openness in Agricultural Information and Knowledge Sharing” on 10 November, 2011 at NASC Complex, Pusa, New Delhi, India in the “International Conference on Innovative Approaches for Agricultural Knowledge Management: Global Extension Experiences” jointly organized by International Society of Extension Education (INSEE), India and the Indian Council of Agricultural Research (ICAR) with the partnership of Asia-Pacific Association of Agricultural Research Institutions (APAARI), Global Forum on Agricultural Research (GFAR), Food and Agriculture Organization (FAO) of the United Nations, Trust for Advancement of Agricultural Sciences (TAAS), Maharashtra Society of Extension Education (MSEE), National Academy of Agricultural Sciences (NAAS), Alcorn State University, Iowa State University and other partners on 9-12 November, 2011.The session was focused on the core issue of “Openness” of agricultural information and knowledge in the context of the emerging paradigm of agricultural innovation should mean that a large part of relevant and useful information generated by and through the public sector or investment, should be available and also accessible as a public good with equity to all its users. It underpins that market-linked agriculture requires new forms of knowledge, skills and technologies which can only come through information chains linked appropriately to innovation and ICTs are realized as tools for improving efficiency and effectiveness of information flows in market chains.